The Helios program is Europe's military optical reconnaissance system consisting of both a space and a ground segment, which commenced service in 1995, jointly funded by the French, Italian and Spanish governments. The Helios I optical observation satellites, launched in July 1995 and December 1999 respectively, can acquire high resolution images of any point on the globe, with daily revisit capability. The French Ministry of Defence procurement agency DGA runs the program, retains direct control over the management of the ground segment, and delegates the space segment responsibility to the French space agency CNES. In a multinational cooperation, also Belgium, Spain, Italy and Germany have access to the imagery in excange for access to COSMOSkyMed and SAR-Lupe radar imagery. 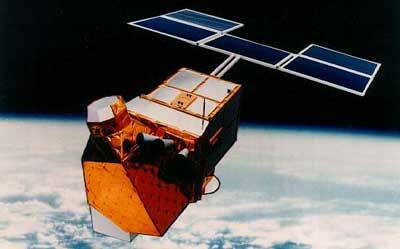 The Helios-1 satellites were based on the SPOT Mk.2 bus, based on the civilian SPOT series. They carried an optical instrument with a ground resolution of 1 m and a swath width of 10 km. Helios-1A operated until January 2012 and was intentionally de-orbited in February 2012. Helios-1B had suffered a breakdown of its power supply system in October 2004 and could no longer perform any work after operating for just under its 5-year nominal life expectancy.